The Faith Community Health Clinic entrance. 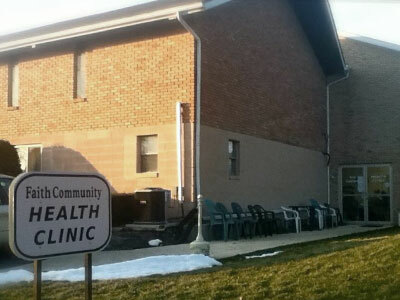 Faith Community Health Clinic (FCHC) offers medial care to those who are uninsured within our community. FCHC is open the first, third, and fourth Wednesday of the month from 5:30pm through 8:00pm, and is located inside the Holy Family Episcopal Church building here in Angola. The clinic’s director is Dr. Teresa Smith. She is supported in her work there by many volunteers from our congregation.